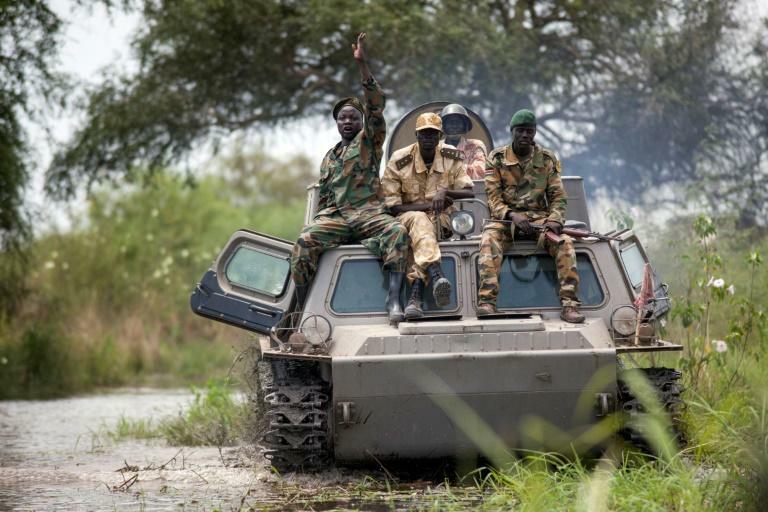 South Sudanese government forces on Wednesday launched an offensive on a town in the north, displacing civilians who may be headed toward the border with Sudan, the UN envoy said. Some 50,000 people in Kodok in Upper Nile state, many of whom fled fighting six weeks ago in the town of Wau Shilluk, were at risk from the violence, said David Shearer, who also heads the UN mission in South Sudan. "The conflict has widened rather than contracted over the past few weeks," Shearer told a news conference. "As we speak, there is an ongoing operation by the SPLA (the government's Sudan People's Liberation Army) on the western side of the Nile... toward the town of Kodok. They are on the edge of Kodok," he said. Civilians were fleeing Kodok and "possibly headed to the Sudanese border," he added. The attack was the latest in an upsurge in fighting in South Sudan since the beginning of the year that has driven tens of thousands of civilians from their homes. Shearer said that 60,000 people per month had been forced to flee across the border in the first three months of the year. The UN Security Council on Tuesday discussed the worsening conflict in South Sudan, but members were divided on the way forward to rein in the warring sides. The United States, backed by France and Britain, said an arms embargo and sanctions could put pressure on the parties to return to political talks, but China and Russia disagreed. After gaining independence from Sudan in 2011, South Sudan descended into war in December 2013, leaving tens of thousands dead and more than 3.5 million people displaced. In February, South Sudan and the United Nations formally declared a famine in parts of northern Unity State affecting 100,000 people, a disaster that UN officials said was "man-made" and could have been averted.